The City of Denver recently announced the implementation of body-worn cameras for on-duty officers as a means to increase accountability and transparency within the community. 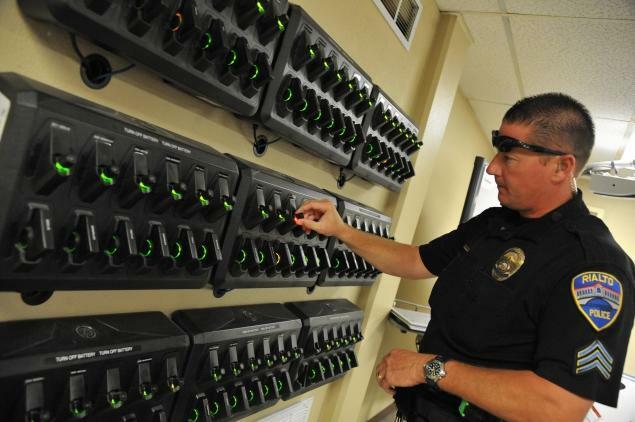 Colorado state lawmakers passed a grant program of $90,000.00 during the 2015 session appropriating funds for body cameras and video storage through the Colorado Division of Criminal Justice. In addition to other federal grants recently announced by the Obama administration, law enforcement agencies have a number of options to reduce the costs of implementing a body-worn camera system to protect both officers and the community. Because jurisdictions have different needs however, there are no uniform state rules defining how body cameras are to be used once implemented by an organization. In more rural counties, officers have discretion as to when to activate the cameras. In Denver however, the police department has released a set of guidelines defining how and when cameras will be activated that officers will have to follow. Another set of questions are who will store the accumulated data, at what cost, and how secure will that storage be? The cost of a Taser body camera alone is between $400 and $600 dollars. Body camera companies such as Taser International have service companies (Taser’s company is called evidence.com) that then administer the video storage process as part of a multi-year contract with the law enforcement organization. While the camera is paid for once, the storage services are ongoing and highly profitable for the service provider because they bring in recurring revenue. Controlling these costs and ensuring their terms are competitive with other digital storage services are important not to overwhelm counties and municipalities with storage costs of body camera video footage. 24 percent: The reduction in court overtime the first year the downtown unit used them. 100 percent: The reduction in use-of-force complaints the first year they were used by the downtown unit. 154.4 gigabytes: The video that was kept because it pertained to a case. 15,226: The numbers of videos that have been kept by FCPS since August 2012.